Trying to conceive a baby can be stressful, especially when things don’t happen as quickly as expected. On top of the stress, pain and suffering, there’s the worry of the actually funding the treatment. SuperCare understands that whilst the wonder of IVF can provide answers, the process does come at a significant monetary cost. 1 in 6 couples have fertility issues! You are not alone and SuperCare is here to help. 3. We offer a specialised health program for couples trying to conceive, called My Fertility Wellness, which aims to enhance your natural fertility. My Fertility Wellness program Just because you’ve been unable to conceive does not mean that you must undergo IVF. There is a number of issued relating to women’s health that can result in a failure to conceive. As part of our commitment to this IVF specialisation, SuperCare has also developed a new program called My Fertility Wellness. This unique and holistic program aims to optimise a patient’s overall health and wellbeing with a particular focus on their reproductive health, supporting clients in reducing the time and cost involved in having a baby. Designed to work in collaboration with the patient’s IVF clinic, the 12 week program provides fertility-specific, evidence-based lifestyle and complementary care as an extension of their fertility plan. All patients receive the personalised attention they deserve, including face-to-face consultations with their dietitian, psychologist and allied health practitioners. These consultations are provided to all patients throughout Australia. 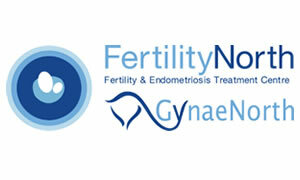 The My Fertility Wellness team includes experts in the fields of: embryology, dietetics, exercise physiology and psychology who provide a co-ordinated and supportive approach to improve patient’s reproductive health, reducing the funding burden of fertility treatment and helping them prepare for a healthy and successful conception, pregnancy, birth and baby.